Remember when I said Ricky Williams was back to his 2002 form? Well I haven't seen the defense, but I have a feeling they are back to that 2002 form as well. Super Bowl bound Dolphins! Wooooooo.......yeah it's going to be good good nite...lol ok back to the matter at hand. Hey Iowa what makes you feel this way? Is it the draft picks? The Fa's and trades we picked up? Or just your gut feeling? Cause like I said in another thread " Less than 11-5 and real shot at the playoffs is bust season to me. I hope you're right Iowa. The offense was pretty good last year.. And should be even better this year. With an improved Defense.. We should be contending in the playoffs. Like I said when the schedule came out ... I dont see a loss. Really.......you don't see us losing not 1 game........."Come on Man"
I thought so.....I see a couple of tough games not losses just tough games. A feeling. I'll know more come preseason, but Vontae Davis is going to be ridiculous...I can feel it. The defense is young. I am sure they will be improved but I don't see a top 10 defense yet. Yes, but Dansby a leader for the LB's, Bell and Allen for the DB's and Starks for the DL... I've always believed you need at least one veteran at every level to have a successful defense, and Miami has that. You need to be able to generate a pass rush consistently, with or without a blitz. The jury is obviously still out on that, but I really think Wake on the edge and Starks inside will be excellent. Add that to Davis on the outside, whom I think will be excellent as well, and Miami's defense looks great. So what about a stout run defense? I'm not so sure they'll need to be that great against the run because the offense will be able to score with regularity. So long as they're not getting gashed up the middle, Miami's defense will more than likely be relying on speed to destroy teams. i haven't seen the defense, but I think they are gonna be great. Seems reasonable. As a lifelong Dolphins fan I have learned not to keep my expectations low because I end up crashing hard. However, I hope you are right. I am not worried about LB, but I am worried about NT and FS. 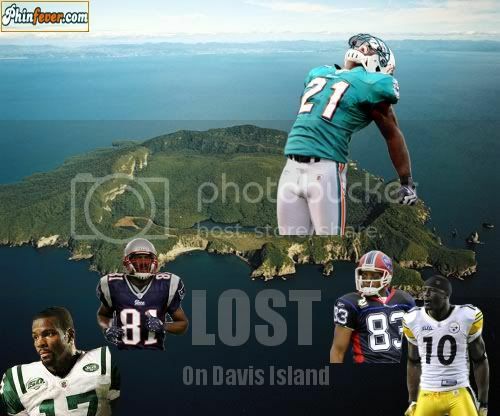 Santonio is stuck on Davis Island because he was thrown off the departing flight. 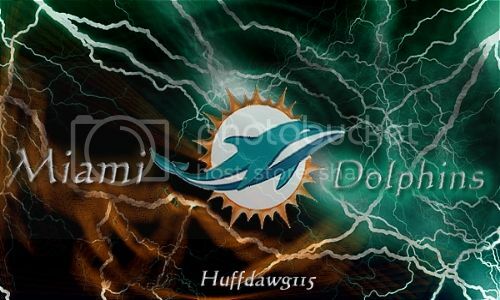 That was too easy, Great pic lol should be a pretty good year to be a phins fan all around.